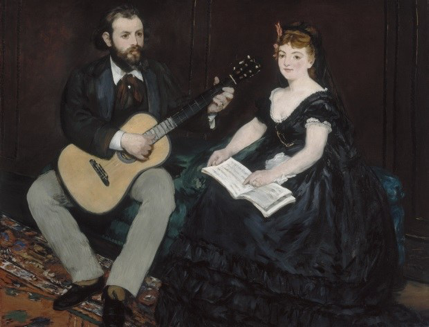 The beginnings of impressionism coincided with the arrival of new musical instruments and the increasing importance of music in everyday life, with cafés-concerts, dances and operas in particular all flourishing. Manet, Degas, Renoir, Morisot, Whistler, Toulouse-Lautrec and Bonnard were simultaneously witnesses to, and protagonists in, these changes during a period of growing leisure. Furthermore, a ‘new music’ emerged in parallel with this ‘new painting’. A wave of modernity and freedom swept through music, which broke with traditional conventions. The sixty works or so on display trace the growing presence of music in painting. Depictions of public performances — brass bands, circuses, cabarets, orchestras, operas, festivals – rub shoulders with more intimate scenes featuring parlour music and music lessons. 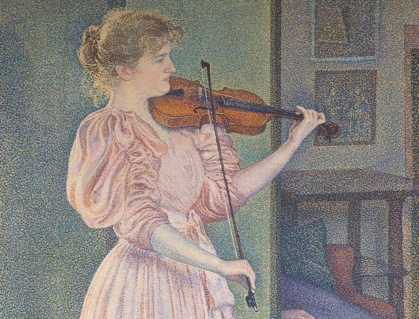 This exhibition illustrates the close links that developed between painters and musicians. Henri Manguin, described as the ‘voluptuous painter’ by Apollinaire, celebrated the joy of life through Arcadian themes, nudes, Mediterranean landscapes, scenes of family life and still lifes. From his formative years, when his first experiments in Impressionism were accompanied by the teaching of Gustave Moreau, to the end of the First World War, the artist remained true to the expression of a harmonious sensuality. 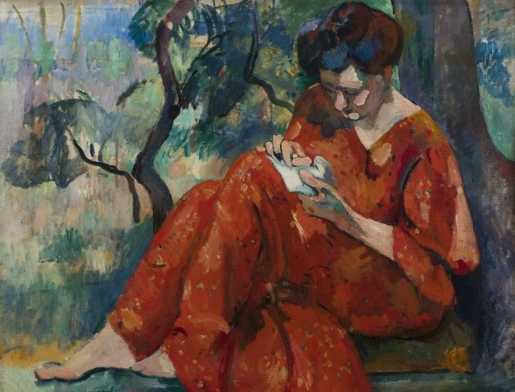 The exhibition Manguin, the Joy of Colour at the musée des impressionnismes Giverny features around one hundred works that retrace the career of this friend of Henri Matisse. 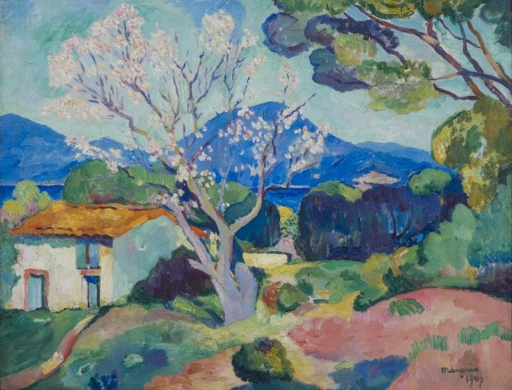 It focuses on the period when Manguin, who from an early age demonstrated an exceptional talent for the inventive use of colour harmonies, worked in tandem with – and sometimes anticipated – the bold innovations of the Fauves, with whom he exhibited in 1905.